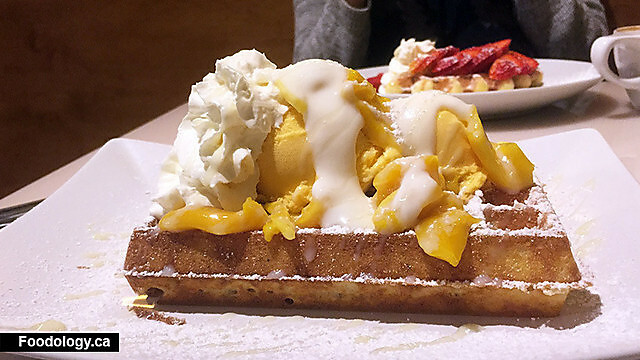 Waffle lover or not, there is no denying that the waffles’ scene in Vancouver is growing oh-so-bigger and auh-so-better! 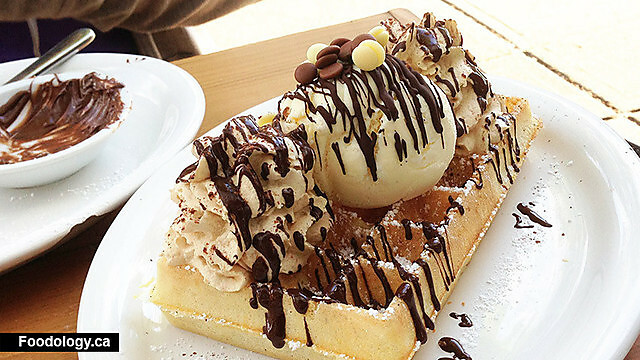 😉 With soo many places to choose from, we here at Daily Delivery have put together a list of a few places we like to satisfy our own waffle cravings with! Before we reveal the waffle-licious list, let’s discuss the two types of Belgian waffles that are out there. Brussels waffles: lighter, crispier, with bigger pockets, and usually rectangular in shape. This is your type of waffle if you like that extra crunch! Liege waffles: denser and sweeter of the two waffles. You can find Liege waffles in a more rounder shape. To satisfy your naughty sweet tooth, you can definitely pair this with all the toppings you desire! Just off of the busier section of Downtown, make sure you make a stop here before it gets even more crowded in the summer. This quaint waffle cafe will definitely satisfy your waffle cravings with a huge selection of classics, sweet, and savory waffles…what more can we ask for? Pair it with a cup of Joe and you’re good to go! Our favorite: the Bresilienne (Vanilla ice cream, Whipped cream, Hazelnut crumble, AND Caramel sauce) on a Brussels waffle -can we get this yum yum already?! If you’re looking to take a quick break after a walk around Coal Harbor, this is it! Just like the name goes, they are known for their waffles and berries. The fresh fruit (yay non-frozen!) 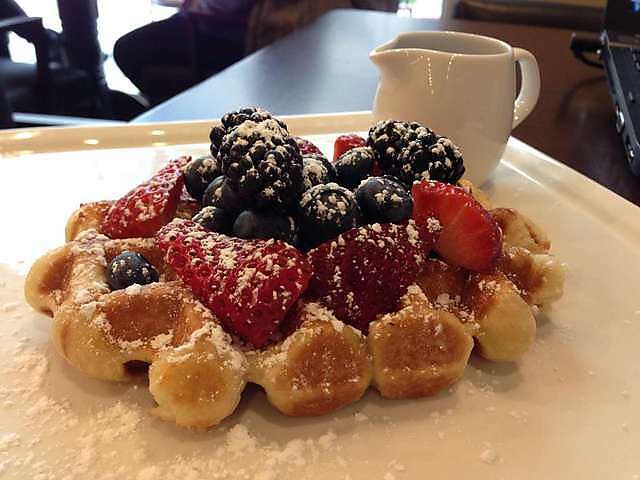 topping off a sweet dense Liege waffle is all anyone would ever need during a break. This is THE place to be if you want to stray from the ordinary dessert waffle. 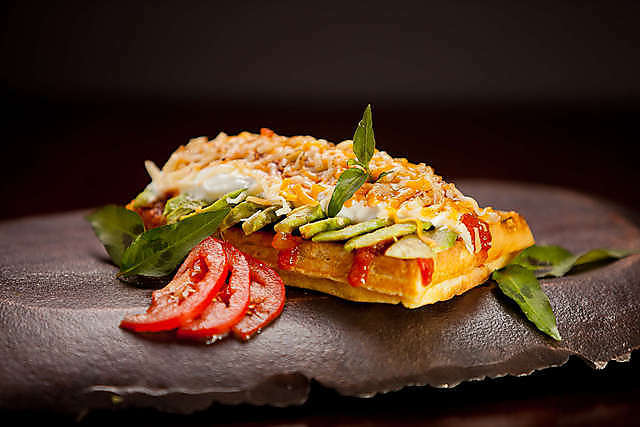 With an awesome selection of savory waffles for a change, you will not be disappointed with all of the variety available at Scandalicious. Whether you prefer gluten free, are a vegan, or just simply want to enjoy a delicious waffle -you have hit jackpot! With outdoor seating and a lovely brunch setting, Scandalicious is suitable for the whole family (despite its name, that is!). Brewery? Yes, you read right! 33 Acres offers a super yummy waffles weekend every Saturday and Sunday for brunch that you seriously do not want to miss out on. Their batter has been blessed by The Nectar of the Gods – 33 Acres beer! 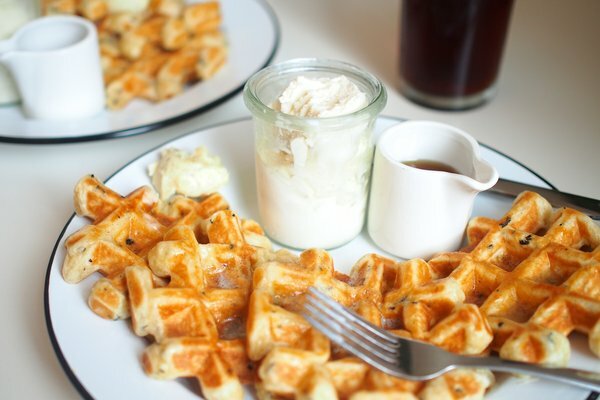 Waffles paired with some savory sides AND Malt Earnest Ice Cream sounds like the best brunch ever. Beer and Earnest in one sitting…are we in heaven?! 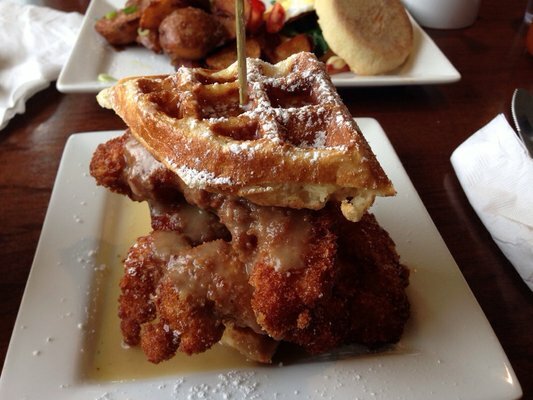 Picture Credit – Yelp/ Rick C.
For a sweet and savory brunch combo, you can NOT go wrong with Yolk’s chicken and waffles. We are already salivating thinking of this deliciousness. The crispy chicken paired with a light waffle and just the perfect amount of syrup…mmmmmm! Picture Credit – Yelp/ Jean R.
This is a bonus for all the Tri-Cities friends! This relatively new waffle cafe probably has the cutest decor in Coquitlam. It is a delight that the Belgian waffles here taste just as good as the decorations look. You will not be disappointed with the selection and the prices of these waffles. We personally think it is worth the drive out to try! Or, try them if you are in town! < Previous With Soccer vs Hockey this weekend, we can’t pick our favorite! Next > The Lost Hour that was!